For nearly two weeks, thousands of people have been riding bright green bicycles around parts of Minneapolis. The bikes, from an organization called Nice Ride, are available for rent by the hour or by the day, but they are not available in north Minneapolis. Today, a group of concerned citizens and lawmakers met to ask officials from Nice Ride why there are no green bikes on the north side. Nice Ride Minnesota is a non-profit organization that received nearly $2 million in federal funds to start the bike sharing program. That raised a red flag for state Rep. Bobby Jo Champion. Champion, a Democrat who represents north Minneapolis, says the public money should be used more equitably. He says he was disappointed that Nice Ride didn't consider north Minneapolis as they planned their network of bike stations. "There's this practice of ignoring communities, even though we have good intentions of doing good work," Champion said. Nice Ride Minnesota Executive Director Bill Dossett said they are not ignoring north Minneapolis. Instead they focused on putting bike kiosks in places with the highest density as well as transit usage. Dossett said there are 100,000 people living in the areas they chose, and he said that for now, there are no kiosks located south of Lake Street. "We would have loved to start with a much larger system, he said. "But we didn't have an infinite amount of money and specifically the money we were given, we were competing with other great innovative bike and pedestrian projects." Dossett says the idea was to roll out the first phase of the bike sharing program in the areas that would get the most use. He says now that the program appears to be successful, they will start planning for a second phase. 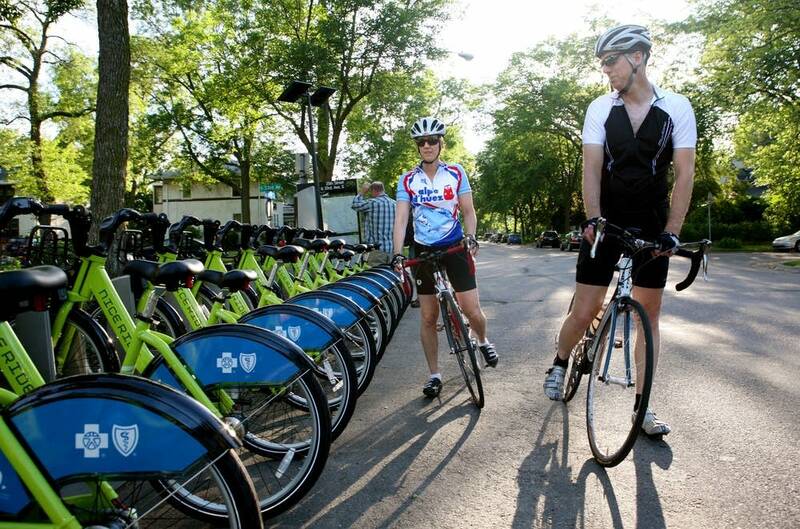 Part of that plan will be to expand the downtown network of bicycle kiosks to include parts of north Minneapolis. That won't come soon enough for some residents of north Minneapolis. Ariah Fine rode his bike to the meeting. He said he would like to see more north-siders on bicycles and that having Nice Ride bikes on the north side would help encourage that. "It's really frustrating. I think it's a great program and I don't want to knock it," Fine said. "But it's really frustrating to be overlooked. Again." Dossett said he'll take this and other concerns back to the board for their next meeting. He says there's a possibility that one kiosk meant for the Minneapolis Community and Technical College may wind up on the north side, next to the farmer's market. But he says they'll need to raise more money before they can add more bike stations anywhere, including north Minneapolis.